It all started a few weeks ago… after attending another book signing at The Book Larder, I flipped the pages of my newly purchased cookbook and began sticking colorful shreds of post-it notes to the pages that caught my attention. In Seattle, fall has finally arrived. It’s colder and becoming damp again, so it feels only natural to tuck into hearty warming dishes. The dutch-oven has been on my stove for a week now, filled with a different dish every other day. As soon as I wash it, something else seems so necessary to prepare. “Braised White Beans and Leeks” not only looked beautiful, but soul satisfying as well. Plus a pound of dried white beans will go along way (thrifty cooking at it’s best!). So I began constructing the beautiful side dish, making substitutions based on the contents of my fridge and CSA box. 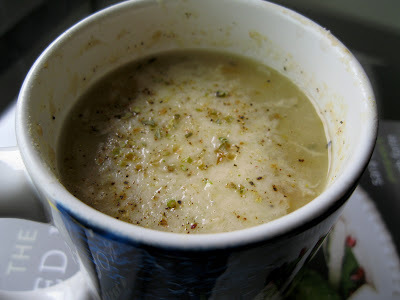 I had a large container of frozen vegetable stock that I was so amped to use (it was my first attempt at vegetable stock and I’d used a bunch of leeks). 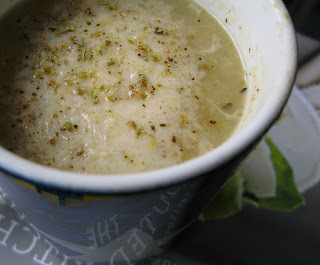 The container didn’t have the volume stated on the side, so I fudged-it and figured, “Eeeehh, how bad could it be?” What I ended up with was an intoxicatingly fragrant vegetarian white bean and leek soup. Oops. 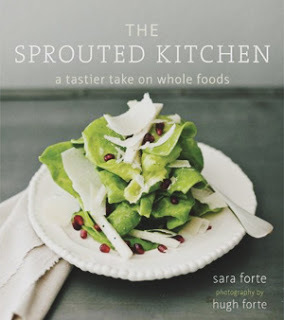 I’m sharing my version of Sara’s recipe, although I certainly plan to try her variation again. Foodie Note: Toss in the rinds of hard cheese such as Parmigiano Reggiano or Piave; it will blow your mind how fragrant those ‘throw-away’ pieces become after stewing. Piave is a harder cows milk cheese from Italy. If you can’t find it, use pecorino, asiago or parm. Also, this would be fabulous with the addition of a smoked ham hock. A day in advance, rinse beans, pick over for pebbles and soak 8-hours or overnight. The next day, drain and rinse. Preheat oven to 225*F. Cut leeks to the dark green section, using only the white and light green part; trim bottom. Slice in half and wash under cool water. Cut into half moons. Warm olive oil in a dutch-oven over medium heat on the stovetop. When the oil begins to ripple, add leeks, carrots and garlic. Saute 3-5 minutes until softened. Add beans, thyme, herbs de Provence, red pepper flakes, 3/4 teaspoon salt and 1/2 teaspoon pepper. Stir in 6 1/2 cups vegetable broth and cheese rinds. Mix, increase heat to high and bring up to a gentle boil. Cover with lid and bake for 3 hours. Once beans are beginning to fall apart, remove from oven and let cool slightly. To thicken, scoop 2 cups of soup into a blender and puree until smooth. Pour back into the dutch-oven and stir, add parsley. Season with salt and pepper as desired. Divide into bowls or mugs, grate fresh cheese and pepper over each portion and serve.